A “PALOVISION” Charity Concert. 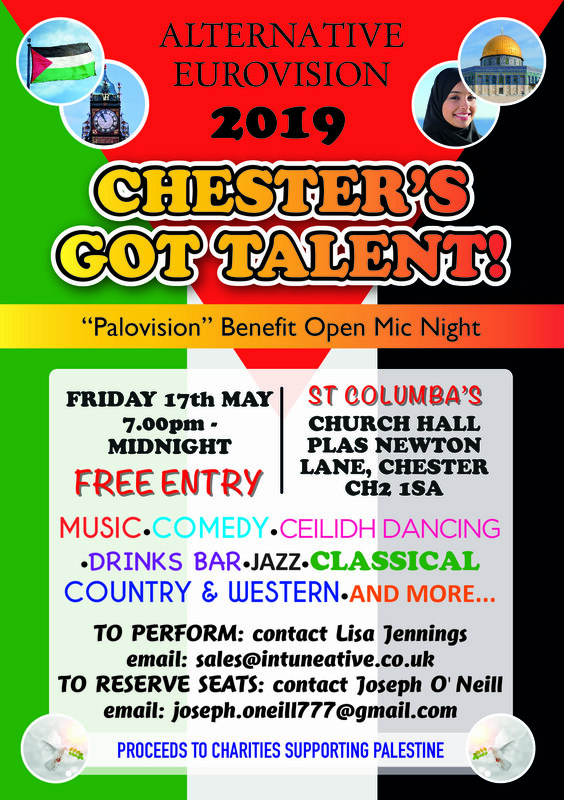 Music, comedy, ceildh dancing. Drinks bar. 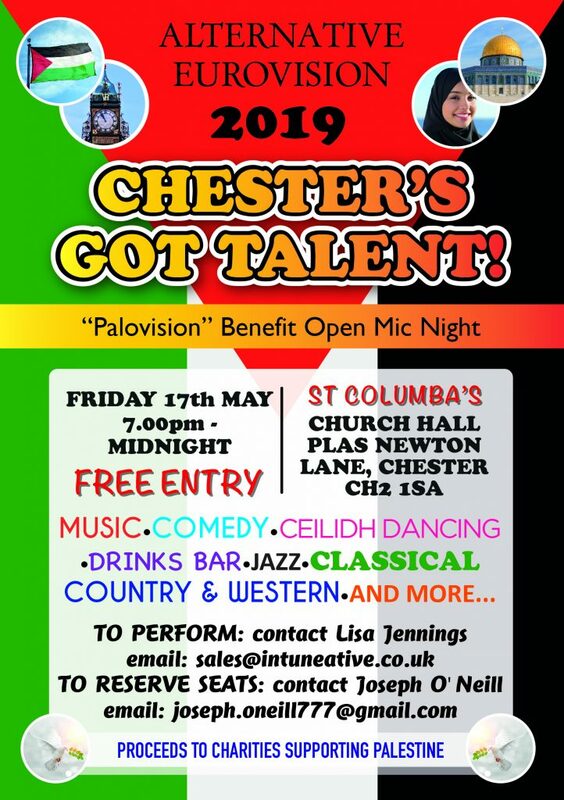 An ‘Alternative Eurovision’ Evening at St Columba’s Church Hall, Newton Lane Chester.